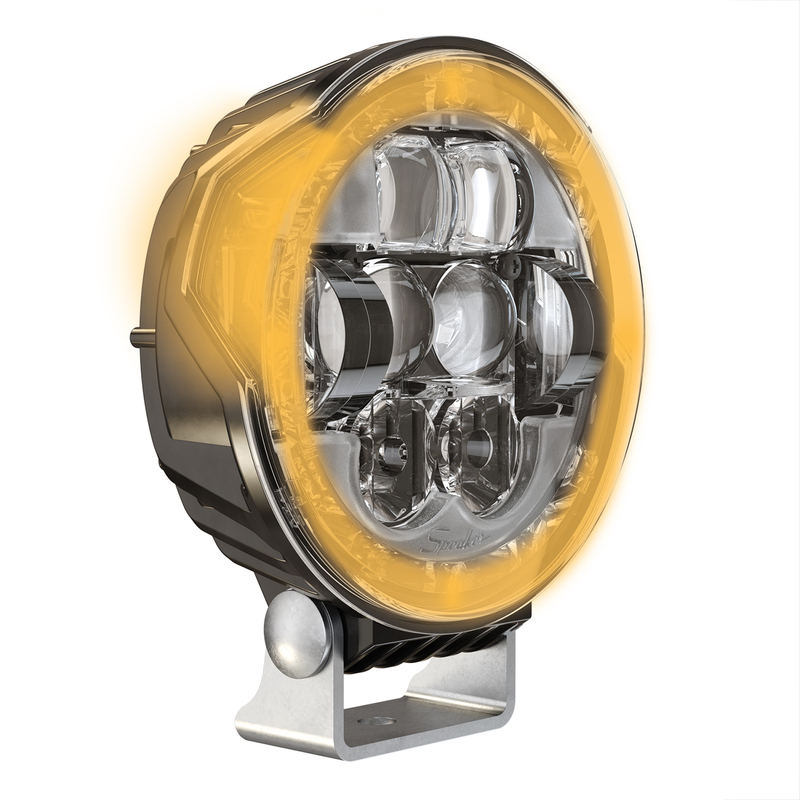 The Model 8632 Evolution LED headlight brings you all of the same great features found in our Model 8631 Evolution LED headlight, with the addition of a turn signal and pedestal mount. DOT- and ECE-compliant functions make this product 100% street legal. Lamps are sold as kits, comprising one right hand and left hand one unit. Plug and play installation ensures easy installation. Side marker illuminates along the side of the lamp, flashing with the turn signal. Turn signal, daytime running light (DRL) & front position (FP) functions utilize a outer ring at high intensities. 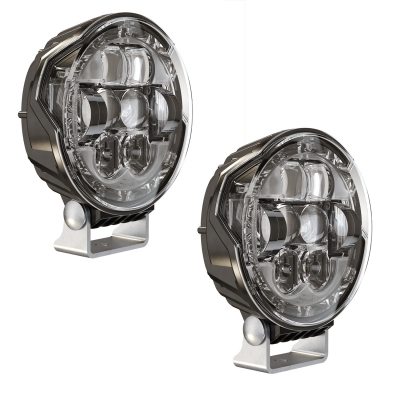 Produces identical light output to our Model 8630 Evolution LED headlight and Model 8631 Evolution LED headlight. The new side marker illuminates along the side of the lamp, flashing with the turn signal, increasing conspicuity when in use. The Model 8631 Evolution LED headlight offers a powerful LED upgrade option for pedestal mount 5.75″ (PAR46) sealed beam headlights.